Plans for a new £20m conference centre in the Winter Gardens Complex in Blackpool are under consideration. On Monday 18 July, the Blackpool Council Executive will discuss plans for the new facility, which could be the next step in the regeneration of Blackpool’s visitor economy. 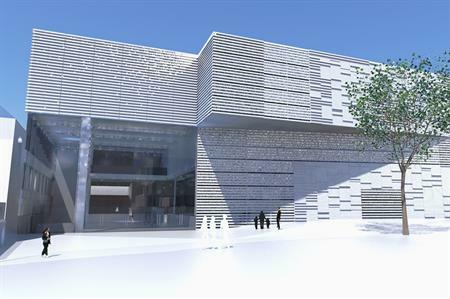 The new venue would include a conference hall for 2,000 delegates, a 1200sqm exhibition hall, breakout spaces and catering facilities. Following the discussions, Blackpool Council will formally submit bids for external funding to build the new centre, on the former split-level car park site on Leopold Grove. The new building will be directly linked to both the Empress Ballroom and the Opera House, to form a flexible venue with joint capacities of up to 7,000. Councillor Simon Blackburn, leader of Blackpool Council, said: "Since Labour took control of the Council in 2011, we have been working on options to secure large-scale business tourism and conferencing facilities for the town." He added that the recent demolition of the car park at the Winter Gardens had provided ‘a rare opportunity’ to build on land the Council already owns. "Much of the detail is yet to be resolved - but behind the scenes we have been talking to agencies like Historic England to make sure the development of designs protects the historic significance of the building whilst delivering the biggest economic impact possible."